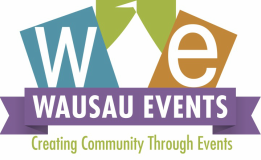 Wausau Events is looking for an individual to assist in the management of Wausau Events throughout the summer season. This individual will assist with all events organized by Wausau Events from start to finish and aid in developing new programs. This position is 12-20 hours per week, with additional hours the weeks of the Balloon & Rib Fest (July 11-14) and Big Bull Falls Blues Fest (August 16-17). This position pays $15 per hour. Assist with all events from start to end including set up, on-site support and clean up. These events are: Summer Kickoff Weekend (June 14 & 16), Concerts on the Square (Wednesdays, June 5-August 21), Marketplace Thursdays (Thursdays, June 20-September 29), Balloon & Rib Fest (July 11-14), and Big Bull Falls Blues Fest (August 16-17). Manual labor including but not limited to hauling garbage cans, setting up and moving equipment, and various tasks as assigned.